Cajun Shrimp foil packets are so easy to make, anyone can do it! 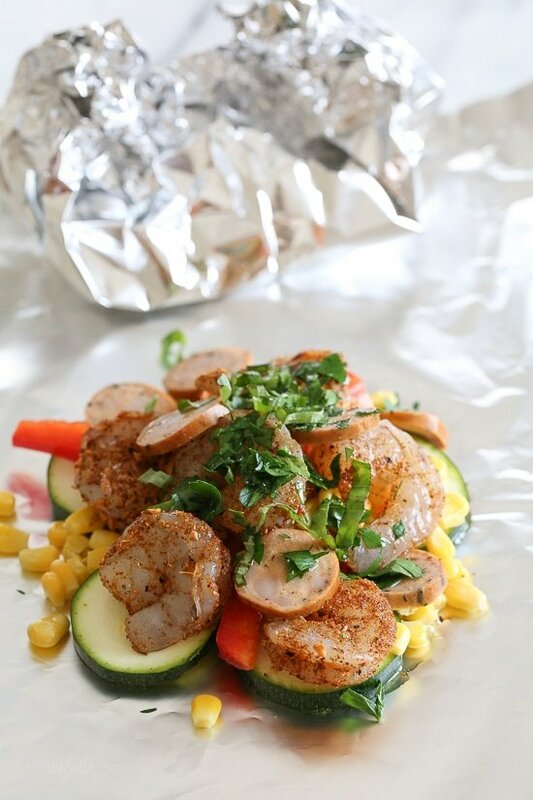 Spicy shrimp seasoned with Cajun spices, Andouille sausage, and rainbow colored vegetables are baked together in foil pouches. 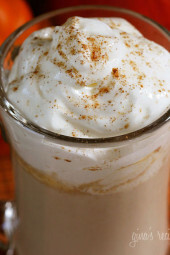 They are fast and easy to make, and can be made ahead and kept in your freezer. 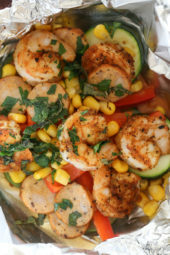 When you’re ready to cook them, just pop them in the oven – perfect for busy weeknights! 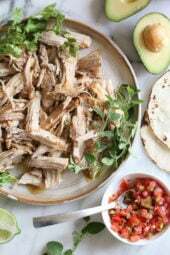 I shared these on Snapchat the other day and everyone wanted the recipe! 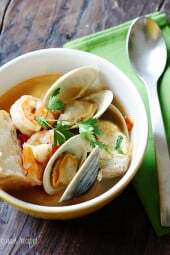 These are from Ellie Krieger’s Cookbook, You Have It Made – Delicious, Healthy, Do-ahead Meals. I met Ellie at an event a few years back and she was they nicest person, and even prettier in person. This recipe didn’t disappoint, her recipe makes 8 but I halved it for 4 and slightly adapted it with chicken sausage. Made this tonight as we near Mardi Gras. It was simple and delicious! I love the make ahead options too. Thank you! Is there another way of cooking these without using foil. Aluminum contributes to heavy metal poisoning in the body and should be avoided by everyone but especially those with cancer!! You could probably try Parchment Paper, I use one that is excellent from Costco, a Kirkland brand name, . I use it for making fish packets all the time. Great! Make this one a lot. Use a Bilinski chicken sausage that comes in a variety of flavors and it is great. 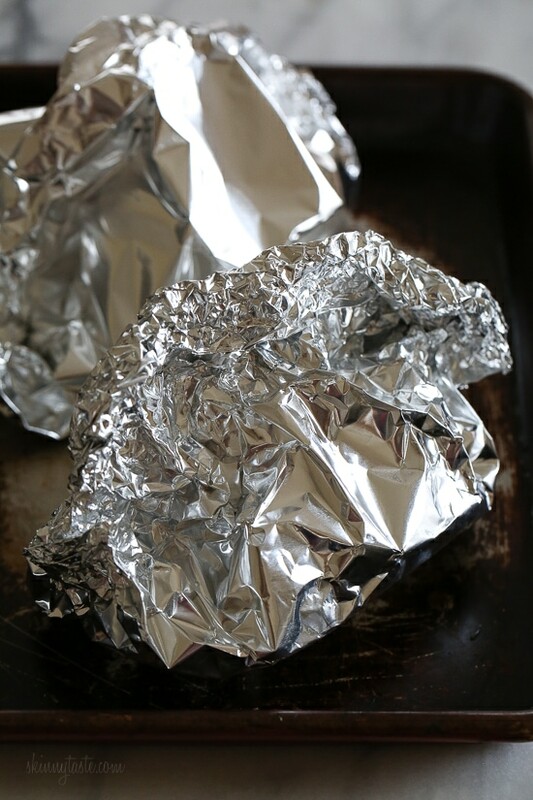 Love a foil recipe that is a contained serving. Can customize that way too if need be. Dd you use fresh or frozen corn? Made these today and they were delicious! I threw in a very tiny bit of cooked rice to soak up some of the leftover juices in the foil and they were perfect.